Live Your Passion. Love Your Career. Time to focus on becoming the BEST you! We know you; being a stylist / artist is equal parts creativity, technique, talent, and ambition. If you have the passion, we have the opportunities. Hair Worx Salon + Beauty Bar is always looking for career-minded people with a friendly personality and hunger for knowledge to join our team. If you’re looking to continue your career to grow as a stylist and a professional, not just a job, we invite you to join our community and/or apply! To apply for any of our current positions, please email a current/updated copy of your resume w/ cover letter listing your experience and education to: info@hairworxsalons.com. You will be notified via phone if you are selected for a group or individual interview. All applications will remain Confidential and your current employer will NOT be contacted. If you are interested in a career with Hair Worx Salon, we want to meet you! We are looking for the best, and for those with potential to become the best! Be your best self. Live your best life. 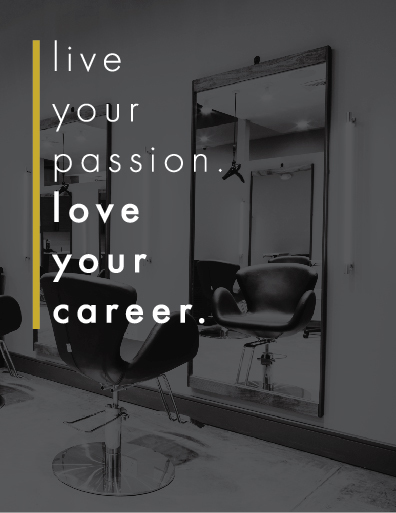 Hair Stylist (All Levels) - Full or part-time position available for a technician with a minimum of 2 years in-salon experience. Hair Colorist - Full or part-time position available for a technician with a minimum of 2 years in-salon experience. Barber - Full or part-time position available for a technician with a minimum of 2 years in-salon experience. Esthetician - Full or part-time position available for a technician with a minimum of 2 years experience and full or partial clientele. Massage Therapist - Part-time position available for a technician with a minimum of 2 years experience. Following preferred. Makeup Artist - Part-time position available. Salon Manager - Full-time position available for experienced salon manager. Guest Experience Ambassador - Part-time position available for experienced salon receptionist. Stylist Assistant - No opening at this time. We're always accepting applications for openings. Get connected and follow us by joining our talent community! We are passionate about helping people grow a great business and live well while pursuing their creative talents. Whether you’re just out of school or already have some experience, we are ready to support your journey to success. From classes on the newest techniques to redesigned salons and more, we’re reimagining a salon professional career and having tons of fun doing it. Join us!